Kids from the Yesler community celebrate as they see themselves on SounderVision at CenturyLink Field at the 2017 RAVE-themed Sounders FC match, which furthered RAVE’s ONE Ball program. Children learn by playing. Play is, in fact, so important to children and their development that the United Nations has declared it to be a right of every child. Sure, math is important. Science is too, and all that other reading and writing gobbledygook that kids learn in school these days. But you know what else is important? Play. Play is important. Children learn by doing. They learn by picking the thing up and touching it, putting it in their mouth, or throwing it as far as they can. Play is, in fact, so important to children and their development that the United Nations High Commission on Human Rights has declared it to be a right of every child. Here are some of the reasons play is important. When children move past purely independent or parallel play and really engage with other children and grownups, they learn how to speak up, resolve conflicts, share and even negotiate. They’re learning that they can disagree and still find a solution. Maya Mendoza, a founding executive director of the RAVE Foundation, the charitable arm of the Sounders FC that believes in creating safe spaces for kids to play freely in their communities, said there’s much to be learned when a child plays soccer. Childhood obesity is at epidemic proportions, and recess time is being squeezed out in some schools. This makes physical play more important than ever. Given time and opportunity (free of screens), many children will choose to run, play, make up a game, roller skate, shoot hoops, slide down the banister — you know, be a kid. During this time, they may be working through problems, learning new skills, and even developing a passion they will pursue into their adult years. 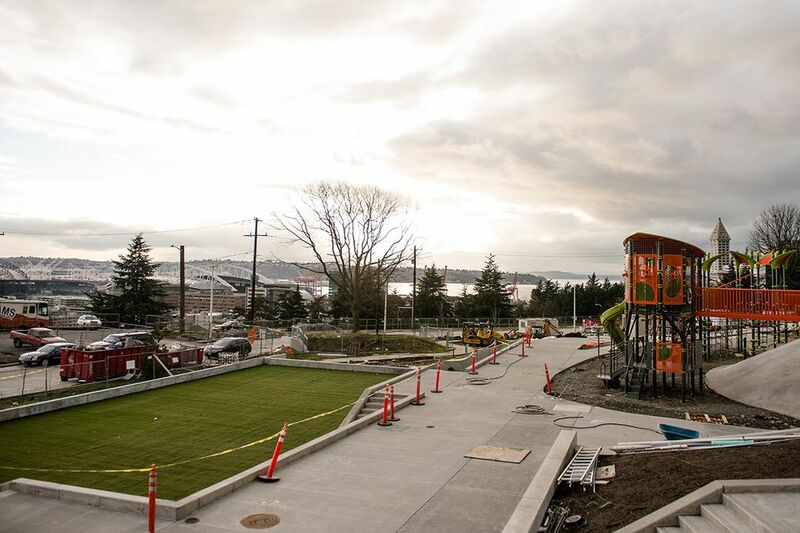 RAVE Field at Yesler Terrace Park is scheduled to open this summer. As children play, explore and learn about their surroundings, they’re creating imaginative worlds and learning to master them. They’re developing skills and abilities that give them confidence that they can take into other environments. When children play, they often unveil their ideas, thoughts, experiences and frustrations. Ever wonder what a child is thinking? Encourage them to engage in play and you’ll often get a window into what’s happening and how a parent, teacher or other grownup can help. While time to play is limited at many schools, it is crucial to a child’s academic performance and success. Play can help a child adjust to and transition into a classroom. That’s right: play can help a child be ready to learn all the gobbledygook they teach in schools these days. Now we all know that when kids play, they aren’t just focusing on one of these types of play. Children don’t wake up and say, “Let’s see, today I’m going to work on my cooperative play.” However, in that playtime they’re learning and mastering more than one of these skills and gleaning many of the benefits all at the same time. When kids play, they’re becoming masters of their surroundings. Mendoza and the folks at the RAVE Foundation have plans to build five new fields for kids in the next 10 years. “It’s through the fields that we can — 365 days a year — wrap our arms around the community and put in a place that will be used organically in the neighborhood,” she said. So listen to the United Nations, listen to the RAVE Foundation, and make sure your kids set aside their devices for a little while every day and get out there into the world of play. They’ll be better people for it. 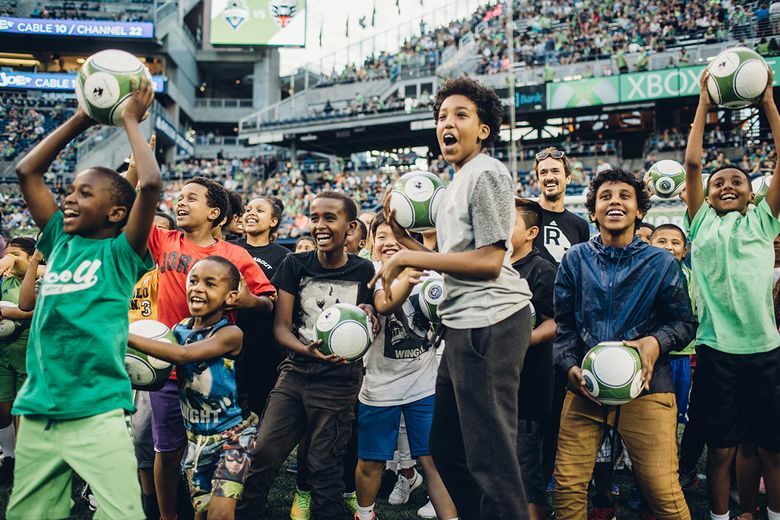 RAVE Foundation, the official charitable arm of Seattle Sounders FC, uses soccer as a vehicle to empower and inspire, remove barriers to participation on and off the field, and support and strengthen communities. RAVE works with communities to build small fields for free play so kids can have access to soccer, be active and have fun.